From songs like Eena Meena Deeka to Hungama Ho Gaya, we admit to belting out all of them in totally off beat tunes with our friends! Even then, we couldn’t have ever dreamed of filming it like these awesome girls have done; it takes head-banging in the car to a whole new level! This response to Mime Through Time by SketchSHE has us getting off our chairs and trying (and failing horrible!) to catch up with them. 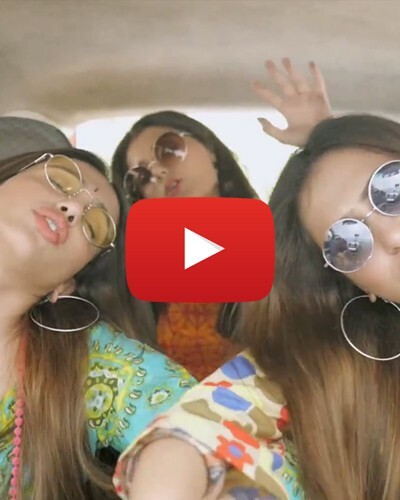 With the coolest selection of the hottest desi numbers from the last 60 years, watching this video by The Enthu Cutlets will be the best way to utilise three minutes of your time. We know what we’re doing next time one of these songs come on the radio! MUST-READ: #GettingReady: This Has Happened To Every Girl AT LEAST Once! MUST-READ: #ROFL: This “Arranged Date” Video Is A Must-Watch For Every Girl!